Contact lenses are a very effective alternative to wearing glasses because they are not only invisible to the naked eye, but also comfortable and safe. Although minimal care is required, it is important to develop a thorough routine to avoid infections and damaging to your eyes. Find out how contact lenses can improve your lifestyle and learn helpful tips to ensure that you get the best experience out of them. Contact lenses are great for exercising and playing sports as they don’t get in the way and you don’t have to worry about them sliding off all the time. Contact lenses conform to your eye’s curvature. This provides a wider vision field, resulting in reduced distortions and obstructions when compared to eyeglasses. Contact lenses are usually not affected by weather conditions, which means no more fogging during cold weather! With Contact lenses, you have the option to change your eye color. Keep Up A Good Cleaning Routine: Contact lenses are rather delicate and need simple (but proper) care to avoid any sort of eye infection. Before putting in your contacts and touching the inside of the eyes, wash hands before any type of contact with the lenses—also, make sure that the contact lenses are cleansed every day with the correct solution. Since debris and dirt usually sticks to the contacts very easily, your eyes are prone to infections. 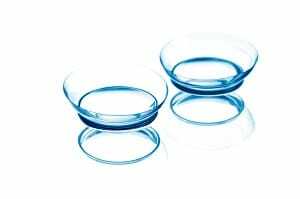 Do Not Let Your Lenses Come In Contact With Water: On instinct, you may want to give your contacts a quick rinse throughout the day with some water, but water does not sterilize, removing bacteria that affects the eye’s health. Since water does not contain salt like the regular contact lens cleansing solution, it is absorbed into the lenses instead. While contacts are a great substitute for eyeglasses, even if you wear them full-time, you should keep an up-to-date pair of glasses in case you need to get new contacts or stop wearing them because of an eye health condition. For more information about contact lenses or to schedule an appointment with Valley Eyecare Center, visit our website.